Visit the WCMA at booth #A-443 of the International Woodworking Fair - IWF 2006 to receive a free copy of our new Wood Components Buyer’s Guide and assistance in locating suppliers for the wood components you need. Component manufacturers can receive information on the WCMA’s many promotional, educational and research activities and discover how these programs can benefit their companies. The WCMA also helps component producers find new markets and customers for the products they make. The WCMA makes it easy for component buyers to find WCMA members that can produce the specific wood component products they need. A component buyer does not need to look any further than the WCMA as the combined capabilities of all WCMA members can meet every wood component need. One call to the WCMA office or a visit to our Web site — www.woodcomponents.org — can connect you to a wide variety of component manufacturers who can service your needs. WCMA companies produce rough, semi- and fully machined wood component products for the cabinet, furniture, building products, staircase, flooring, millwork, store fixture and related decorative wood product industries. Some of these components include S2S & S4S dimension blanks, flooring strips, moulding blanks, edge-glued panels, solid and laminated squares, dowels, mouldings, turnings, table and chair parts, cabinet doors and parts, frame stock, staircase parts, interior trim, millwork, engineered wood components and many other specialty wood products. These components are made from a variety of hardwoods, softwoods, and engineered and composite wood materials. WCMA member companies are located throughout the United States and Canada near their timber supplies. Exhibiting at the International Woodworking Fair - IWF 2006; Atlanta, GA; Booth # A-443. For further information about the WCMA’s programs and activities or if you wish to become a member of the association, please contact the WCMA office. Rising costs of doing business have caused finished wood product manufacturers to look for cost-effective component suppliers to improve their competitive position. Reliable, just-in-time delivery of components allows finished wood product manufacturers to lower their inventories and increase their turnover rates, resulting in higher margins. Purchasing components also helps cabinet, furniture and millwork manufacturers to respond quicker to changes in the marketplace for new products and designs. The buying public benefits by having more choices of customized furniture, cabinets and related goods AND having them delivered more quickly. To meet this increased demand for just-in-time, outsourced components, WCMA members have expanded their capabilities and are able to provide a wide range of components for a variety of applications with shorter lead times. WCMA members have invested in new technology and equipment so they can meet the growing demand for precision components. This has greatly improved their productivity levels and makes them more competitive with other suppliers. Included on pages 23-37 of this Wood Components Buyer’s Guide is a “WCMA Membership Directory & Source Guide.” This listing of WCMA member companies and their capabilities is a handy reference source for locating suppliers for dimension and component products. This section includes a listing of all WCMA member companies, a description of the products they produce, wood species availability and machining capabilities. This information makes it easy for dimension and component buyers to identify those companies who produce the products they need, plus it provides them with contact information. From lumberyards (below) to component manufacturing (above), the plant tour encompasses nearly all phases of converting raw material to finished product. The WCMA’s Member Match™ Program was created to “match” component buyers’ needs with our members’ production capabilities. It is a computerized membership database retrieval system that provides prospective buyers with a list of all WCMA members that can produce the specific component products they need. This computer-generated list is immediately faxed or e-mailed to component buyers so they can contact manufacturers with their exact specifications. This service is free of charge to dimension and component buyers and is available by contacting the WCMA office directly or visiting our Web site at www.woodcomponents.org. WCMA advertisements are placed in the annual directory and buyer’s guide issues of the major woodworking magazines. The WCMA exhibits at several woodworking trade shows held throughout the world. The WCMA displays the various products produced by its member companies and distributes free copies of the Wood Component Buyer’s Guide to interested component buyers and users who visit the booth. A large number of sales leads are obtained at these trade shows that are passed on to all WCMA members for follow-up. Component buyers are able to shop for all of their component needs in one stop by visiting the WCMA’s trade show booth. The WCMA conducts a Fall Conference & Plant Tour Event each year. The Fall Conference presents educational sessions on timely topics of interest to WCMA members with opportunities for open discussion on common concerns. Members also tour the production facilities of several dimension, component and related woodworking companies. These plant tours provide WCMA members with a unique opportunity to observe innovative woodworking manufacturing operations and discover new manufacturing techniques, exchange ideas and learn about alternative manufacturing methods. The WCMA’s Annual Plant Tour Event gives members a unique opportunity to inspect the manufacturing operations of other wood component specialists and end-users. The 2006 WCMA Fall Conference & Plant Tour Event will be held October 14-17 in Eastern Kentucky. Several interesting educational sessions are scheduled in addition to tours of several leading woodworking operations that produce components, cabinetry, furniture, flooring, lumber, millwork and specialty wood products. The WCMA publishes the “Rules and Specifications for Dimension and Woodwork.” The Rulebook covers dimension and component grading rules, tolerances and claim procedures for domestic and export trade. The WCMA Rulebook serves as a guideline for buyers of dimension and component products when specifying their component products. It is also a valuable communications link between component buyers and suppliers. The pocket-sized Rulebook is available for $5 per copy (includes shipping & handling) by mailing your check to the WCMA office at 741 Butlers Gate, Suite 100, Marietta, GA 30068. The WCMA conducts a number of proprietary technical and market studies to help its members identify new markets and improve their company’s competitive position. WCMA members rely on the annual WCMA Dimension & Component Market Study to keep them informed of current business conditions and industry trends. The Wage & Benefit and Cost-of-Doing-Business Surveys allow members to compare their costs of doing business and wage and benefit structures with other member companies. The WCMA Fall Conference will be held in London, KY, on Oct. 14-15, and includes an educational program designed to cover important topics of interest to component manufacturers, including: profitability; costing; market trends and forecasts; worker safety; health and productivity; employee training and development; sales and marketing strategies; and technological advances in the industry. These valuable studies are the only ones conducted for the wood component industry and are available to all participating WCMA members free of charge. This gives WCMA members a distinct competitive advantage and the benefits are passed on to their customers through greater production and management efficiencies. The WCMA conducts a Wood Technology Expo each year, which is designed to encourage more interaction between woodworking machinery manufacturers and suppliers with WCMA member companies. 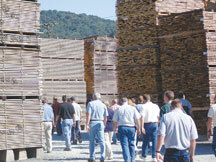 The next Wood Technology Expo is held in conjunction with our 2006 Fall Conference & Plant Tour Event. A select group of manufacturers of woodworking machinery, equipment, software and business solutions exhibit at this Wood Technology Expo. These companies discuss their latest technological developments in the woodworking industry that offer solutions to wood processing challenges for dimension and component manufacturers. Manufacturers of material handling equipment, gluing equipment, dust collection, fingerjointers, moulders, planers, cut-off and ripsaws, routers, tenoners, CNC machinery, dry kilns, optimizing equipment, finishing systems, yield improvement systems, tooling, software and business solutions are represented. Attendees have a one-on-one opportunity to discuss problems and solutions for their specific companies. Because of the importance of outsourcing, the Wood Component Manufacturers Association, along with the International Woodworking Machinery & Supply Fair, is sponsoring a seminar on how outsourcing can benefit woodworkers. This seminar, “Profitable Decision-Making when Outsourcing Components & Products,” will focus on how to outsource from domestic and global suppliers. The seminar will be held in conjunction with IWF 2006 at the Georgia World Congress Center in Atlanta on Thursday, August 24, from 4:00-6:00 p.m. Rich Christianson, associate publisher and editorial director of Wood & Wood Products and Custom Woodworking Business, will present the results of this new outsourcing trends report. A free copy of the study results will be given to all attendees. To register, visit www.iwf2006.com. A more comprehensive summary of the results also will be available by contacting the WCMA at (770) 565-6660 or e-mailing wcma@woodcomponents.org. In recent years, rising material and production costs at home and competition from abroad have made North American manufacturers in all industries work harder to keep costs down. They have streamlined their manufacturing processes, improved their technology and increased worker productivity. Many manufacturers of furniture, cabinets, millwork and other finished wood products have found the best strategy to control costs is outsourcing some of their components from outside suppliers. Because of the importance of outsourcing, the Wood Component Manufacturers Association, along with Wood & Wood Products and Custom Woodworking Business magazines, commissioned Vance Research Services to conduct a new study to discover the trends in outsourcing wood components. A total of 304 U.S. and Canadian wood product manufacturers responded to the survey. Sixty-two percent of the woodworking companies surveyed indicated they outsource components to suppliers. The average dollar value of wood component parts each company purchased in the last 12 months was $901,069. Of those respondents who outsource their components to suppliers, 68% said they do so from U.S. manufacturers. Canada is the second leading source of supplies at 43%. Twenty-seven percent reported that they outsource components from China. Other sources include: Italy (11%), Mexico (11%), Indonesia (8%), Eastern Europe (7%), Taiwan (7%), Brazil (6%), Malaysia (3%), Vietnam (3%) and Thailand (1%). Woodworking professionals surveyed reported that 58% of their wood components are manufactured in-house, while 35% are sourced from U.S. and Canadian suppliers and 7% are made by foreign suppliers. Respondents expect their in-house production to increase to 68%, while 37% will be sourced from U.S. and Canadian suppliers in the next two years. Consistent quality (49%), good relationships with suppliers (49%), having better control over costs (48%), price (41%), lack of equipment (41%) and lack of capacity (36%) were cited as the top reasons for buying component parts from U.S and Canadian suppliers. Product quality and price were the most important reasons why woodworking professionals select a U.S. or Canadian supplier. While 7% of current outsourcing is done from foreign suppliers, North American woodworking professionals said they expect that number to grow to 30% in the next two years. Price was the number one consideration when outsourcing components to foreign suppliers, reported by 37% of respondents. Better control over costs (28%) and the ability to add new products (19%) were other major reasons for buying from foreign suppliers. The main reason participating companies said they do not outsource at all or do not outsource more parts than they do is because they want to control the production process. The second most frequently cited reason was their quantities were too small (43%); 42% indicated they can manufacture their own parts cheaper. Thirty-eight percent indicated the required lead time was too long. 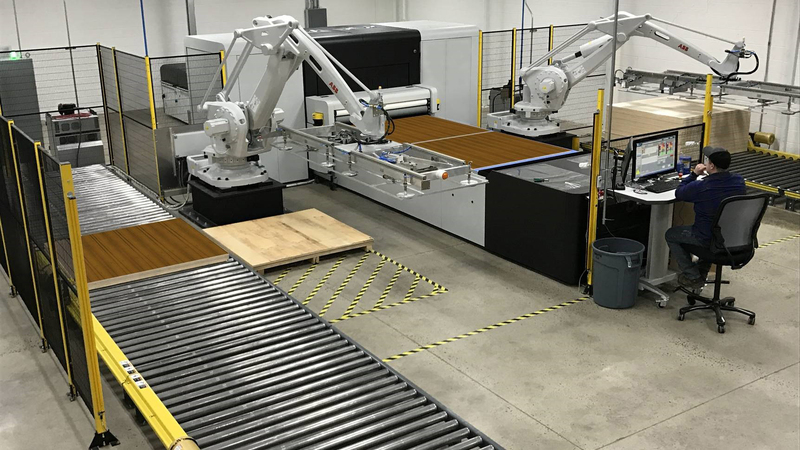 The Wood Component Manufacturers Association (WCMA) has a “Technology Partnership” program to connect manufacturers of woodworking machinery, equipment, supplies, software and business solutions to WCMA member companies who utilize these products and services. This program was created to foster stronger relationships between WCMA members and our key suppliers. Our Technology Partners have the opportunity to showcase and educate WCMA members on their newest technologies, products and services. This helps WCMA members adopt new technologies, implement advanced wood processing techniques and utilize the latest improvements in woodworking machinery, equipment, tooling and supplies. The centerpiece of the Technology Partner program is the Wood Technology Expo, which is held annually in conjunction with the WCMA Fall Conference & Plant Tour Event. To find out more about becoming a WCMA Technology Partner, please contact the WCMA office at (770) 565-6660 or e-mail us at wcma@woodcomponents.org. A description of all current Technology Partners is included on the WCMA’s Web site at www.woodcomponents.org; click on Technology Partners. Products: Accurate Technology manufactures ProScale™ Digital Measuring Systems, which measure up to 20 ft, with accuracy to 0.002 in. Three-year warranty; made in the USA. ACTIVE MACHINE & TOOL CO. INC.
Products: Active Machine & Tool Co. manufactures, distributes and services solid carbide, carbide-tipped, diamond and HSS tooling. 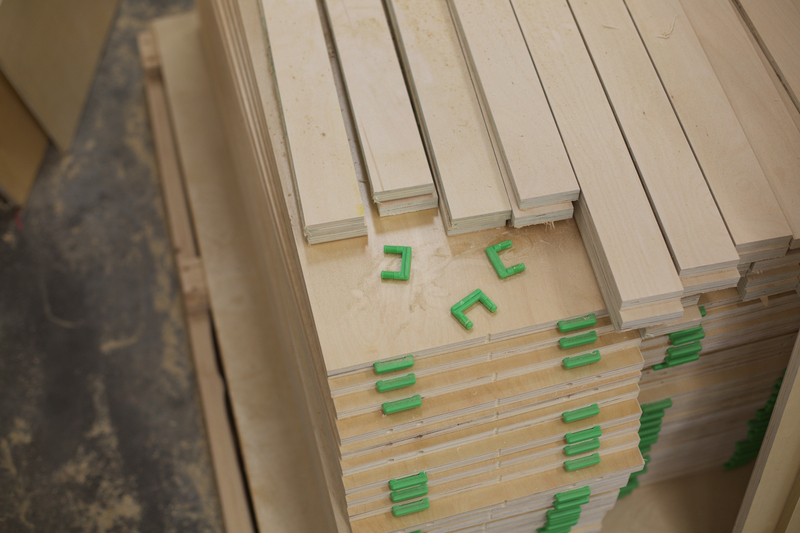 Products: Alexander Dodds Co. produces drawer machinery, dovetailers, dovetail gluers and drawer clamps. Precise dovetailers allow assembly without filling and sanding. Mortise and bore machinery for Mod-eez clips. Products: Since 1981, American Wood Dryers has been a leader in providing innovative and effective drying solutions worldwide, building a reputation...not resting on one. Products: AWMV Industrial Products is the commercial division of Wood-Mizer. The product line includes moulding machines, profile grinders, resaws, edgers and thin-kerf sawmills. Products: BMI produces computerized woodworking machinery, specializing in grading, automatic lumber scanning systems and optimizing cut-off saws/gang ripsaws. BMI systems create yield increases and reduce labor costs. Products: Carolina Specialty Tools specializes in the design and manufacture of high-tech cutting tools for the woodworking industry: Carbide-tipped, insert tooling and diamond tooling for industrial CNC machinery. Products: Carter Products offers: 2-D computer laser production systems, line lasers, inspection lights, widebelt sander set-up/ diagnostic devices, bandsaw guides, wheels, tires and other machine accessories. collection solutions. Dantherm specializes in turn-key systems, including design, fabrication and installation of systems from 1,000 CFM to 200,000 CFM. Products: DMG represents Busellato (CNC machining centers, edgebanders); Delmac Engineering, Gabbiani GDG (tenoners, combination machines); SAG (material handling); Mayer (panel saws); Fravol (straight/contour edgebanders); and OMAL (bore/dowel machines). Products: Denray has the largest line of downdraft tables in the industry, plus a large selection of environmental booths, from 6 ft to 60 ft wide. Products: Diehl manufactures straight line rip saws, moulders, profile grinders, veneer splicers, Challoner single- and double-end tenoners, and Challoner stile and rail entry door machines. DMSI - DISTRIBUTION MANAGEMENT SYSTEMS INC.
Products: DMSi supplies business management solutions for building product distributors, lumber wholesalers and lumber re-manufacturers. North America's top suppliers use DMSi software to efficiently manage their daily activities. Products: Doucet Machineries supplies return conveyors for edgebanders, shaper-sanders and ripsaws. They design and manufacture superior quality machinery, including clamp carriers, flooring end-matchers, fingerjointers and boring machines. Products: Custom design of material handling and optimization for rip and cut operations. Eagle’s products include: Ripmaster fenceless ripping; optiscan and vision defect scanning; material handling machinery and sawdust blowers. Products: For more than 70 years, Franklin Adhesives has been an industry leader in bonding wood and wood products. Franklin Adhesives markets TitebondÃÂ®, MultibondÃÂ®, AdvantageÃÂ®, and wood bonds. FROEDGE MACHINE & SUPPLY CO.
Products: Froedge Machine offers industrial solutions focusing on labor saving devices and yield improvements. The company achieves this through use of high technology and sound material handing concepts. Products: Gladu Tools provides high-quality, high-performance tooling for the woodworking industry in polycrystalline diamond, carbide insert, cast cobalt alloys, tungsten carbide and high-speed steel. GREAT LAKES CUSTOM TOOL MFG. INC.
Products: Great Lakes Custom Tool Mfg. provides custom tool design and manufacturing, including: Great-LocÃÂ® carbide insert system, Great-LocÃÂ® SG Universal Tool System, brazed carbide, brazed diamond, HelicarbÃÂ® and saw blades. Products: Hasko products include: optimizing gang ripsaws and systems; side-matching and planing centers; end matchers; lineal feed tables; sorting, grading and nesting systems; and crayon-mark and optimizing cut-off saws. Products: Holz-Her products include vertical panel saws, sliding table saws and horizontal beam saws for cutting, edgebanders, widebelt sanders,and a wide range of CNC machining centers. Products: Jenkins Systems manufactures high-quality, simple-to-operate cabinet, millwork, furniture, RTA, sizing and specialty machinery, including tenoners, CNC miter machines, CNC shapers, tool changers, robotics and special application machinery. 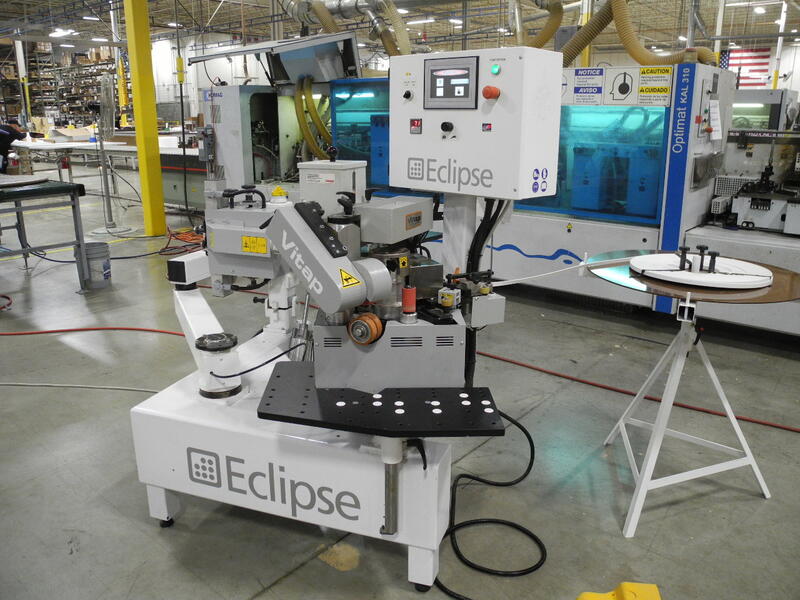 Products: Komo Machine designs and builds high-speed precision CNC routers integrated with CIM-Tech’s premiere machine programming software for a complete CNC solution. Komo is proud to be an American manufacturer. Products: Products include LasalignÃÂ® and Laser BlazerÃÂ® Guidelines to maximize quality and yield; Easy Empty Self-Dumping Containers; RENS Metal Detectors; and a full line of SummitÃÂ® Chain products. Products: Mereen-Johnson manufactures quality woodworking machinery: fixed arbor and movable blade ripsaws, single- and double- end tenoners, panel-sizing equipment, dovetailers, and complete rough mill material handling systems. Products: Newman Machine manufactures and designs precision woodworking machinery, including double roughing planers, double and single surfacers, gang ripsaws, presses, trimmers and knife grinders.